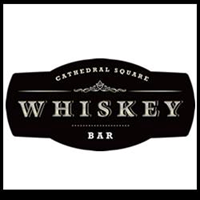 Located in the heart of Milwaukee’s downtown, The Venue inside of Whiskey Bar offers a versatile, spacious event location perfect for your next business event, charity event, social occasion, wedding reception, cocktail party, Whiskey tastings and more. Whether elegant, casual, professional, or festive we can accommodate any event entertaining 20-500 guests. Best cocktails and bartenders in town!.. One of the best happy hours in the city with amazing craft cocktails and friendly staff!.. Awesome place to spend the New Years and the DJ was great!.. Fun bar to celebrate a party, great place to lounge and dance..